Tripping and falling on an area rug is a common household occurrence. A fall can be especially dangerous for an elderly person. Throw rugs, like large area rugs or runners, are among the most hazardous household items. Throw rugs can be even more dangerous than stairs, since people walk across rugs more frequently than going up and down staircases. Remove any unnecessary area rugs from the home or secure them onto the floor firmly. Check the rugs periodically to make sure they're still firmly secured. Overloaded, outdated or poorly made extension cords are a leading cause of fire and injury. Purchase only cords that have been approved by an independent testing laboratory. For outdoor projects, use only extension cords marked for outdoor use. Never load an extension cord beyond its capacity, which should be clearly printed on its label. Be sure to replace cords that appear worn, frayed or burnt. Don't run extension cords under carpets or throw rugs where they can overheat. Space heaters are one of the most common origins of household fires. Never leave a space heater unsupervised. If you're leaving the room for more than a few minutes, turn it off. Always place heaters at least three feet from beds, furniture, curtains or anything else that's flammable. Also, always be sure to turn off space heaters when sleeping. 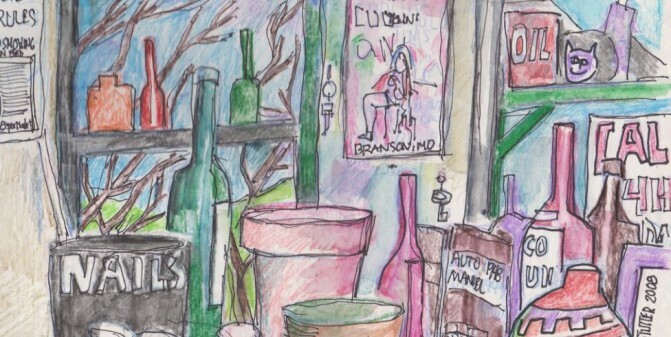 The notion of having an uncluttered, simplified life with fewer things is attractive to many. There are benefits to owning fewer things like less debt, less to clean, more money and time for different passions. Consumerism and materialism lead to anxiety and depression. These people are ready to remove the clutter from their life, and you might be ready too. Unfortunately, when you and everyone else builds the courage to finally do it, you find yourself wondering where and how to even start. Hopefully, these five tips will help get you on your way. You might as well do this first because you are going to need it. According to Storage Units Chatsworth, storage units are a great solution for keeping items of sentimental value. There are things you rarely look at, never use but will never throw away. This is not necessarily hoarding. 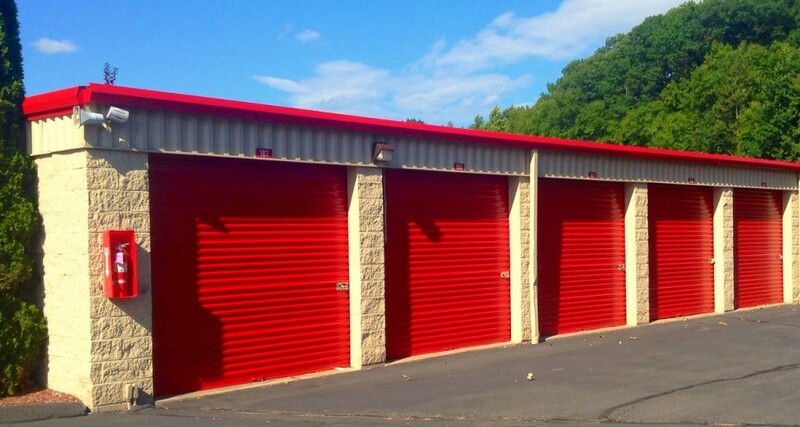 Things of sentimental value or things you want to eventually pass on to kids or grandchildren still take up space and time, so a storage unit is the perfect place for them. You can go and dig them out when the time is right. At the beginning of your organizing journey, a good first step is towards simplicity is to grab one large trash bag. Then, just start filling it with as much stuff as you can. You will notice a lot of it belongs directly in the dumpster, but there will be plenty of bags you can take to the Salvation Army for the less fortunate. The 12-12-12 Challenge is a popular way to increase the simplicity in your life. First you find 12 things to throw in the trash. Next, you locate 12 items worth donating. Finally, you find 12 item you can reorganize into their proper place. That is 36 things you have quickly organized in your house. You could tack another 12 items on for things in your storage unit too. It is important to do this for every item in every room. You need to buy four large boxes for every room. One box is for items to keep, another for trash, another to donate and one to relocate items. Every item in every room must be labeled for a box. It is important. This is a powerful psychological trick to employ before and after you begin for motivation and reward. Ask yourself how much you would pay for your house before you start cleaning it up. After you have organized it, ask yourself the same question. The difference in the figures will astound you. Many people feel anxious, overwhelmed and even defeated at the idea of removing clutter and possessions from their homes. It is perfectly natural, but it can't stop you. It does not have to be as painful and dramatic as some people make it out to be, especially on television. You can come up with creative, fun ways to do it. It is not the end of the world. It is the beginning of a less stressful life. Ramblers and one-story apartments are ideal for aging individuals, but moving is inconvenient and not necessary at every stage of aging. 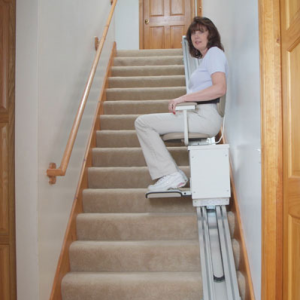 Alternatively, consider installing a stair lift to move from one story to the next or install an elevator. 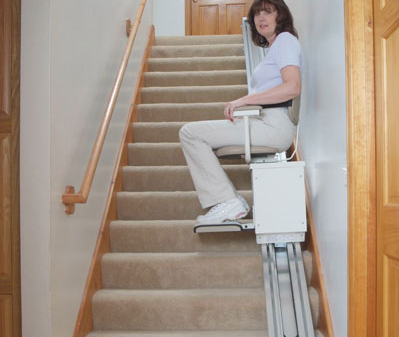 The motorized lift is designed for elderly people who have problems walking up the stairs and not just wheelchaired individuals. 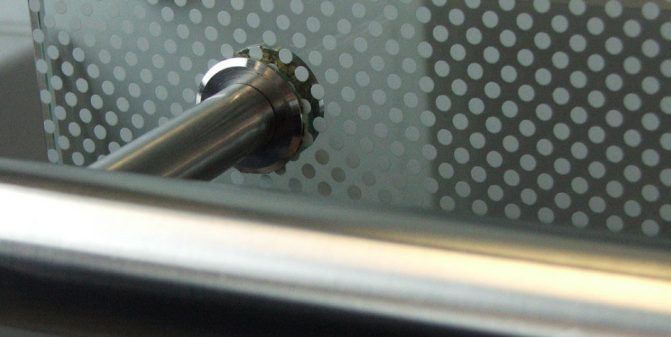 These devices improve mobility and safety. The bathroom is the most dangerous place for seniors. Many of them spend a lot of time in the bathroom, and most of their accidents occur in this room. At the least, build lift rails near the bath and hand rails for ease of walking. Place rugs on the floor to prevent common slips and falls. 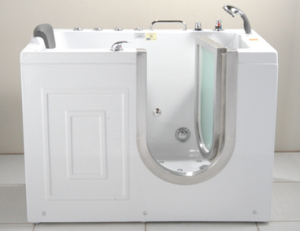 Medicare and other insurance may even approve the installation of a walk-in bath if recommended by a medical professional. Install motion sensors that provide automatic controls for your lights and doors. 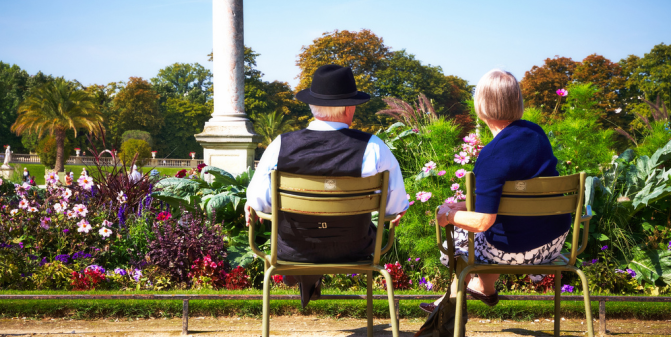 You should be concerned about the overall safety of your senior parents at home. Innovations in home automation and security systems can protect against burglary and even alert you to accidents and wandering dementia patients. Research security systems for seniors that are affordable and reliable. Oil fires or electrical fires pose a significant threat to seniors. Smoke inhalation can seriously disrupt health, and aging bodies may not be able to respond as quickly to a fire outbreak. Dementia patients are particularly vulnerable, as they may leave on stoves and ovens or engage in other risky behaviors. Prevent fires by eliminating potential fire hazards around the house. Be cautious about where you put candles and flammable items. Install smoke detectors or sprinklers that turn on automatically. 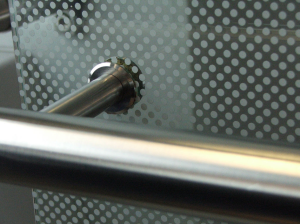 Install handrails that guide elderly people as they move around the house. Slips and falls are the most common accidents that harm seniors. Handrails can help improve mobility, independence, and dignity without exposing them to unnecessary risk. Seniors want to be treated with respect and maintain their dignity. They want to feel that they are intelligent and valued. While the effects of age will inevitably take a toll on their independence, we have a responsibility to honor the elders of our generation by helping them enjoy their last years to the best of our ability. Accessibility, mobility, and safety are vital to this effort. Smaller homes tend to discourage excessive consumerismmitigating that behavior’s attendant environmental impact. When thinking about sustainable housing, the name of the game is location, location, location. An EPA study found that an energy efficient single family suburban house plus a fuel efficient car can cut your carbon footprint by 34% as compared to a conventional, single family, suburban house and a car with average fuel economy. While this is a significant improvement over a standard single-family home, the same study found that living in an energy efficient multifamily house (i.e. housing with two or more units such as a townhouse or apartment) with access to public transportation reduces your carbon footprint by 62% - and that still assumes car ownership. By multiplying the function of a single space, combining rooms, making existing spaces work more efficiently, and utilizing high-quality multifunctional furniture, less square footage is required. Needing less space, one can live more centrally, drive less, walk more and consume fewer resources. In other words – live a sustainable life, not just a green one. Rearrange your furniture to limit crowding and ensure there’s enough space to make you and your guests comfortable. The double-sided Flex Sofa is an ideal way to achieve maximum quality time with friends and family. A sofa with a wide, sturdy structure and movable backrests is perfect for perching on from all angles. 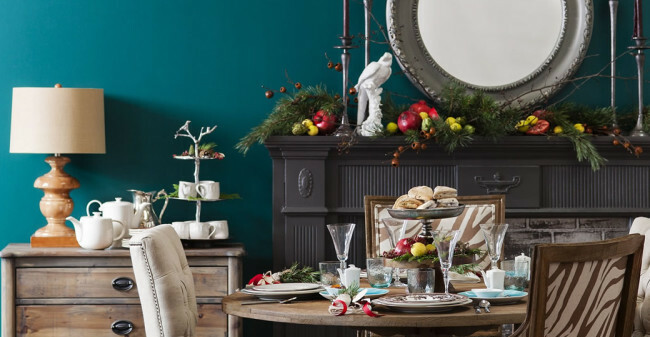 Have fun decorating your space for the holidays, but make sure there is enough room on counters, shelves, and side tables for your company to place plates of food and drinks. Think of unique solutions to maximize your space by having items serve double-duty on the day of your gathering. Try clearing off a shelf on a bookcase to create a temporary bar or snack station. What to do with all those coats? Make sure you think ahead and plan for where your guests can keep their coats and bags – the last thing you’ll need in your small space is clutter! Short on closet space? Keep winter coats and bags out of the way by hanging them along a wall with hooks – like the Hidden – a much more organized alternative to piling coats on someone’s bed. Consider using a transforming table that can be extended to full size at mealtime to seat everyone while they eat, but can be tucked away or used for a different purpose when not in use. The Goliath console can serve as small bar area or snack table throughout the night, but come mealtime it can seat up to ten hungry guests. The holidays are a great time for gathering with family and friends, but sometimes those short-term guests can turn into long-term ones. Anticipate both your expected and unexpected guests by having a plan in place. 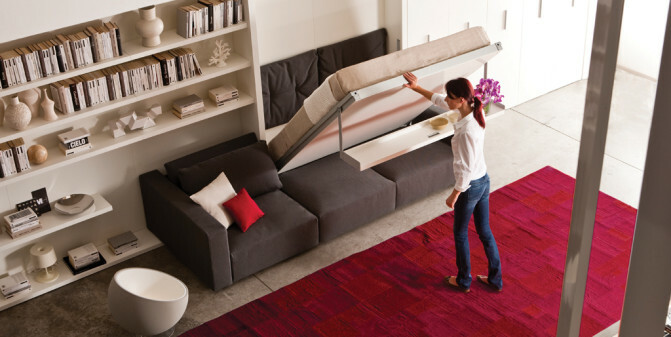 A sofa wall bed system such as the Swing will not only provide you with an extra sleeping spot, but also features extra storage and can be folded up to provide space and everyday seating so that your home doesn’t feel too crowded. A lot of people crammed into a smaller space can make for a stuffy environment. 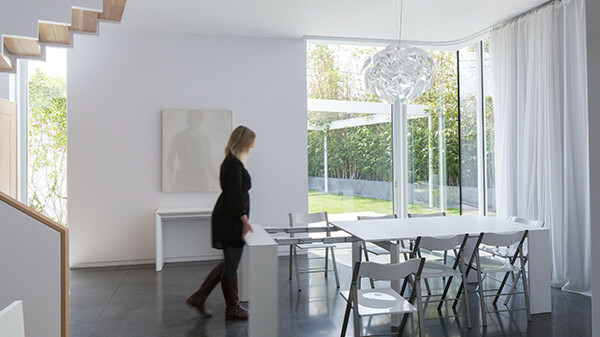 If you can do it without freezing, open windows occasionally to provide circulation and air flow. You can also use air freshening sprays or candles to keep the atmosphere inviting and smelling good. Revive candles and room sprays from Melaleuca.com come in a variety of festive scents for the holiday season. Current guidelines suggest Aussie adults should accrue at least 150 minutes of moderate-intensity exercise each week. However, 60% of us fail to meet this recommendation, and around one in six aren’t doing any regular exercise at all. If this sounds like you, don’t despair. Studies show that any amount of physical activity is better than none. So there’s a strong rationale for getting off the couch, even if 150 minutes seems impossible.